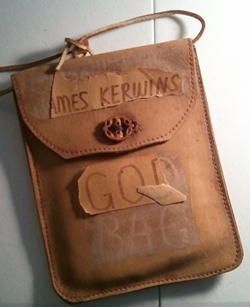 Kernels of Wheat Episode 3 – No ‘God Bag’ Needed! Ongoing study suggestion: Read 1 John each week (the letter has only five chapters) and the Gospel of John each month. Charles Wesley's hymn, Let Earth and Heaven Combine, can be found here. In 2 Peter 1:13-14, Peter uses the Greek noun for tent or tabernacle to refer to his earthly body. In John 1:14, John uses the Greek verb meaning to set up a tent or to live in a tent in describing the Logos as coming to earth. God's picture of living in a tent — His presence in the Holy of Holies in the tabernacle Moses built for Him, at His direction. In John 1:14, the Greek preposition en, translated among, can also mean in. God's goal of intimate fellowship with Him amounts to this—the Word becoming flesh and tabernacling in us, our hearts being His Holy of Holies. For next week: “God is Light.” What does that mean?